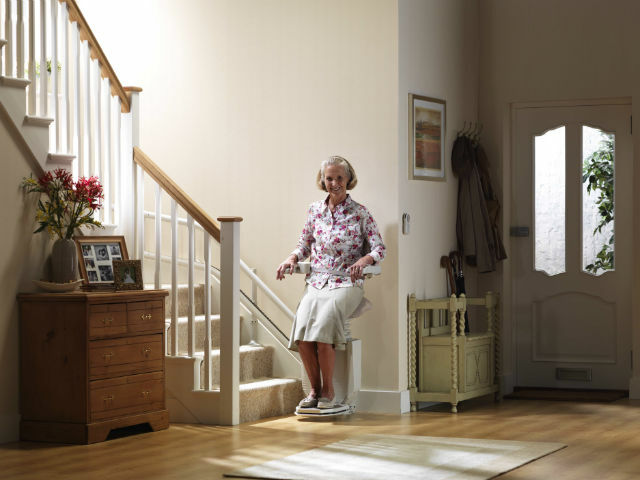 Stannah Sadler Stairlift | Bentley Mobility Services Ltd. 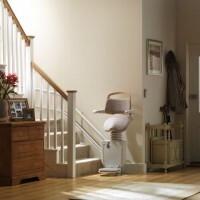 Designed specifically for people with limited flexibility, the Stannah Sadler is a totally new concept in stairlift design. 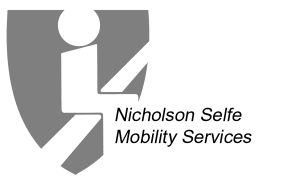 The Sadler stairlift offers a new alternative to traditional and perch-style stairlifts, helping users maintain a more upright posture at the same time as taking much of the user’s weight through the seat, minimising the weight supported by the legs. Easy-to-use Controls – The controls featured on this stairlift can be operated with a very light touch for those with limited dexterity. Arm-to-Footrest Link – The footrest automatically folds up when the arms are raised. Safety Edges – The safety sensors will automatically detect any obstructions on the staircase and bring your stair lift to an immediate stop. Immobiliser Seat Belt – You can easily fasten and unfasten the retractable seatbelt with one hand so is easy on arthritic hands. The stairlift can only operate once the seatbelt is connected. 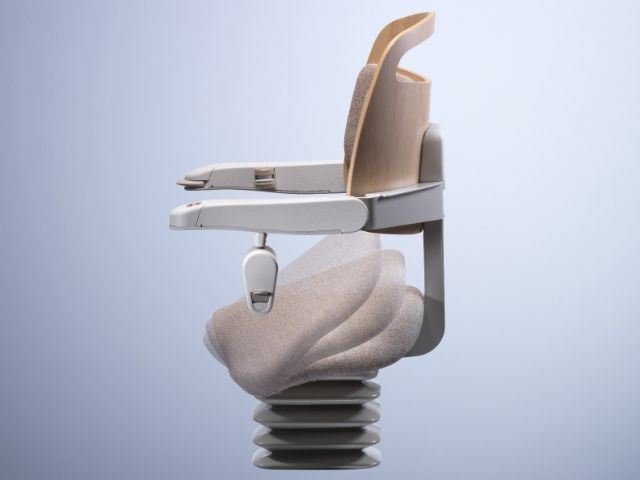 Tilting Seat – The tilting seat assists the user when getting on and off the seat, reducing strain on the legs. 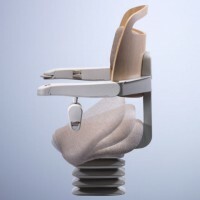 Upholstery -The stair lift comes fitted with a stone woven seat and backrest which surrounded by a light wooden trim. 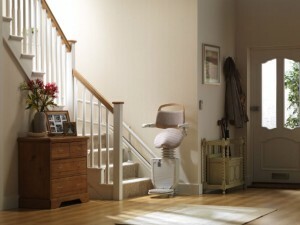 On/Off Switch – The on and off switch on the arm of the stair lifts allows you to turn it off when its not in use.